Benedek Javor, the Green MEP who first raised a controversial trip by EU commissioner Guenther Oettinger, was stopped on Monday (28 November) from pursuing the issue in a European Parliament hearing. 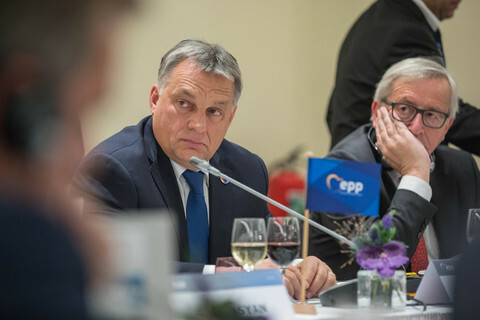 "Democracy means institutions and rules," Buzek said as he cut the Green MEP short, adding: "the issue is under investigation by the commission, and will be explained by the commission and president Juncker." 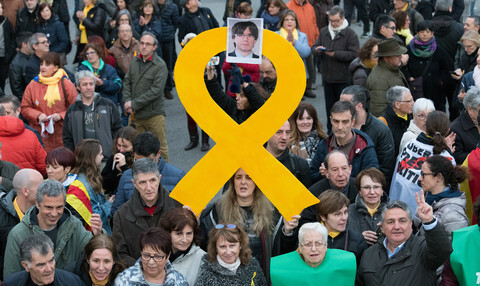 No investigation has been announced by the commission, with EU executive chief Jean-Claude Juncker saying that he "didn't see why it would deserve a sanction." Javor wanted to find out if Mangold, whom he called an "unregistered lobbyist", was involved in digital issues, Oettinger's portfolio in the EU executive. The commission argues that Mangold is not involved in digital issues and that his flight with Oettinger - which it did not recognise as a meeting - does not go against EU rules. 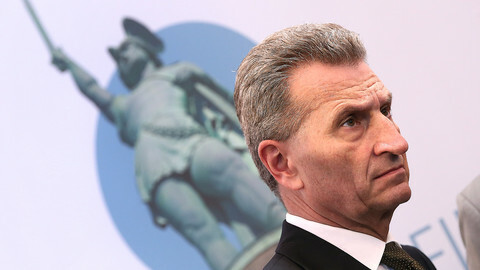 However, the Hungarian government said that it had a framework consulting agreement with Mangold and that the lobbyist had suggested the digital conference to which Oettinger went with him in May. But Buzek insisted it was not a matter to be raised in the so-called "structured dialogue" with the commissioner, where he was presenting the commission's latest initiatives on the digital single market to the committee. "Leave this topic if we may ask you, stick to the topic of the agenda," Buzek said, adding that it was for the parliament's constitutional affairs committee to deal with the issue. Javor said he had never before found that a committee chair would "limit the freedom of expression for MEPs". 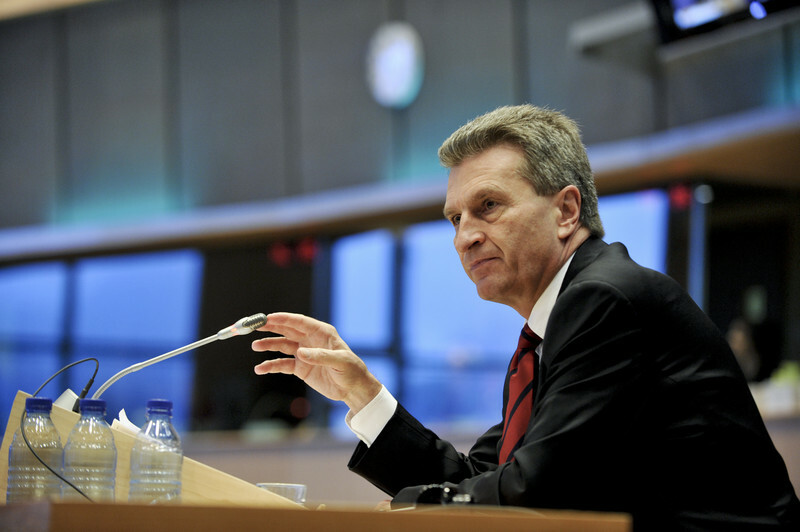 It was the first time Guenther Oettinger had appeared before MEPs since EUobserver reported earlier this month that he used Mangold's private jet in a trip that possibly broke EU transparency and code of conduct rules. Two other Green MEPs, Ernest Maragall, and Michel Reimon also made reference to Oettinger’s trip to Budapest in their questions. 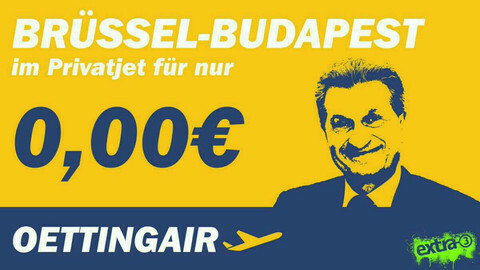 Oettinger did not directly answer the questions but mentioned the flight with Mangold. 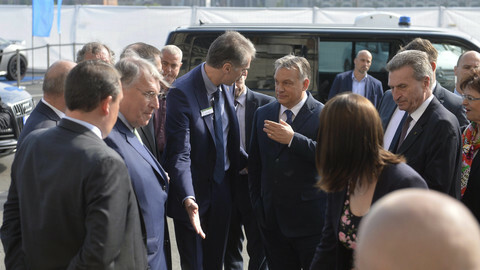 The German commissioner said his sole goal travelling to Budapest was to attend a digital conference and that he went again this month, where he made a speech. He added he wanted the Visegrad Four countries - Hungary, the Czech Republic, Poland and Slovakia - to contribute to digital development, and that digital cars are a topic where cooperation is possible. 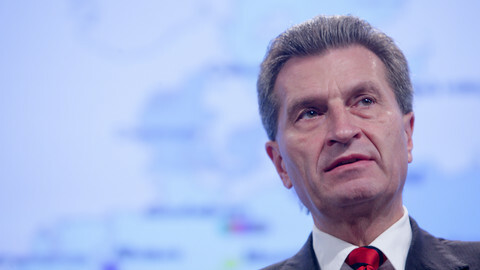 Oettinger again rebuffed earlier suggestions by Javor that he was involved in advising Hungary's prime minister Viktor Orban on how to handle commission concerns over the Russian-built and financed Paks II nuclear plant. 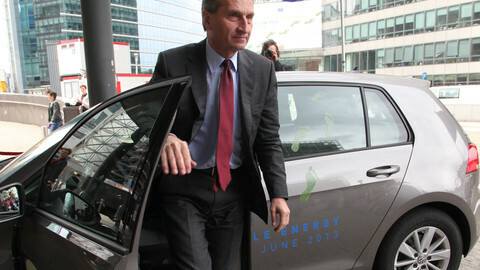 "I haven’t been involved with energy for two years," said Oettinger, who held the energy portfolio in the Barroso commission.